Carl L. Hellzen, age 82, of Litchfield died peacefully at his home in Litchfield. A memorial service will be held at 2:00 PM on Wednesday, January 30, 2019 at the First Lutheran Church in Litchfield. Visitation will be held from 5:00 PM until 7:00 PM on Tuesday, January 29th at the Johnson-Hagglund Funeral Home in Litchfield and will continue one hour prior to the service at the church. Interment will be at a later date. Carl LeRoy Hellzen, the son of Fabian and Elsie (Carlson) Hellzen, was born on February 23, 1936 in Grass Lake Township, Kanabec county, MN. Carl was baptized at the Braham Mission Church Parsonage and confirmed at the Hope Lutheran Church in Grasston. 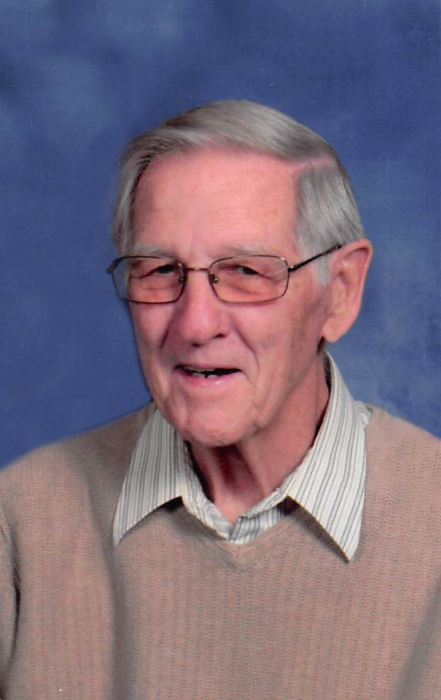 He attended Braham High School and graduated in 1953. He continued his education at Augsburg College and took summer courses at Macalester College and St. Cloud State. He received a B.S in 1957 from Augsburg. On March 2, 1957, he was united in marriage to Margaret “Marge” Barbo at the Braham Lutheran Church. Carl taught and coached at Mazeppa, Sacred Heart and Mora High Schools. They moved to Litchfield and he owned Classic Motor Court Motel and Ports of Scandinavia. He was an active member of First Lutheran Church, the Litchfield Area Male Chorus and the Litchfield Lions’ Club. Carl served as the Loins’ District Governor in 1990 and 1991. He enjoyed playing baseball, gardening and golfing. He also enjoyed traveling the US, Europe and Australia. His Swedish heritage was very important to him. He is survived by his wife of 61 years, Marge Hellzen of Litchfield, children Jeffrey (Pat) Hellzen of Cameron Park, CA, Holly Woerz of Burnsville, Andrea Christenson of Burnsville and Peter (Cathi) Hellzen of Litchfield; 9 grandchildren and 5 great grandchildren. He is also survived by his sister-in-law Beverly Peterson. He was preceded in death by his parents and siblings James Hellzen, Richard Hellzen, Evelyn Hellzen and Elaine Anderson.